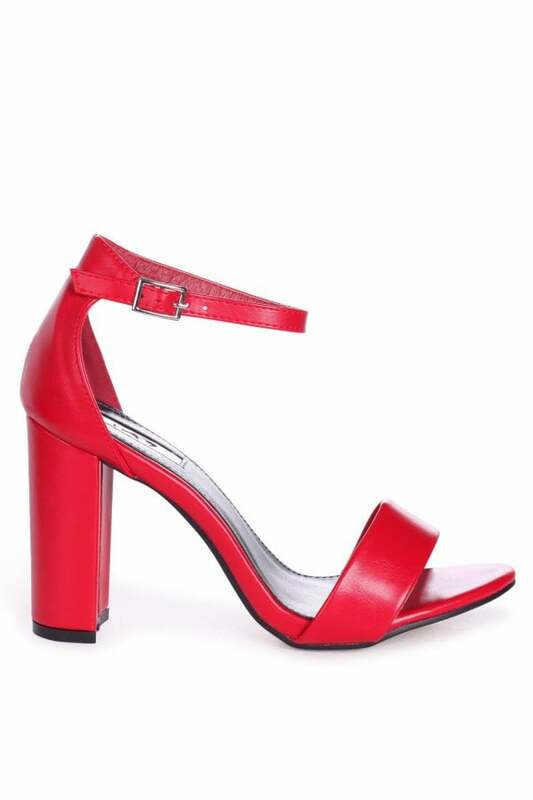 Red Nappa Single Sole Block Heel. 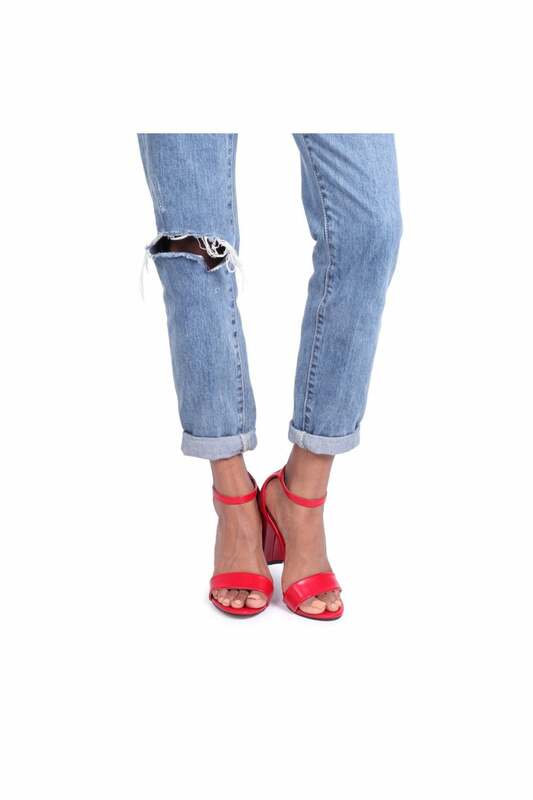 Please note this style comes up big, if you are between sizes we recommend that your take the smaller size. 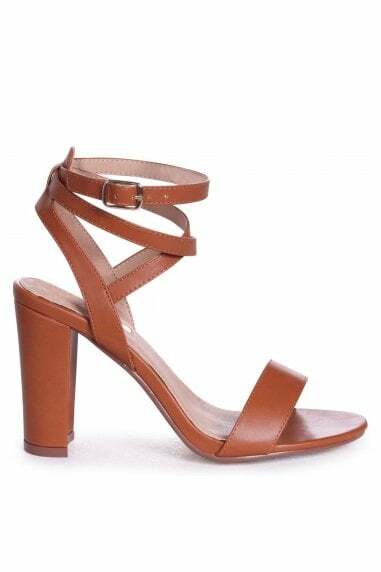 Soft Faux Leather Open Toe Block Heel Heel Height: 10cm / 4inch.